On a late spring day, brilliant with green and sunshine, I arrived at the studio/gallery of Wence and Sandra Martinez, set in a small, whitewashed barn on their Jacksonport property. 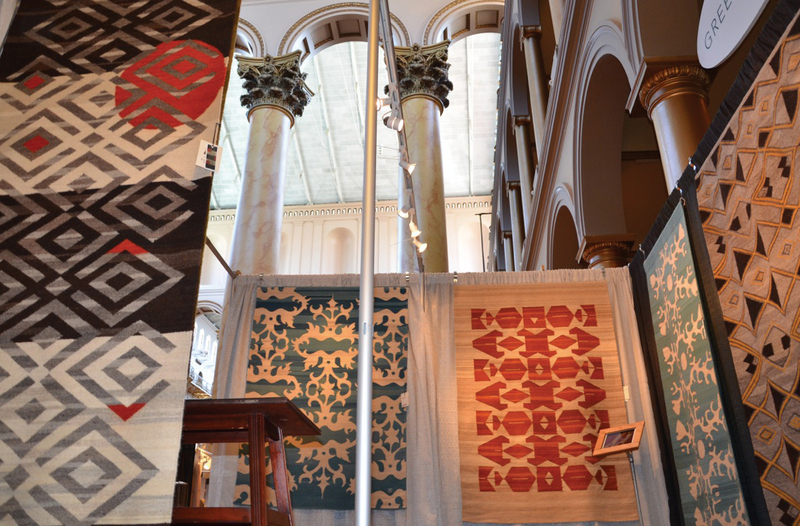 As I wandered the gallery looking at Wence’s distinctive flat-weave designs and Sandra’s abstract, organic images, I could hear the easy hum of the couple’s give and take upstairs in the studio. A few minutes later, they came down the wooden stairs to greet me and we settled into a semi-circle of chairs. As we began to talk, their warmth and enthusiasm spilled over like the May sunshine pouring through the door. Martinez Studio will celebrate its 20-year anniversary next summer. 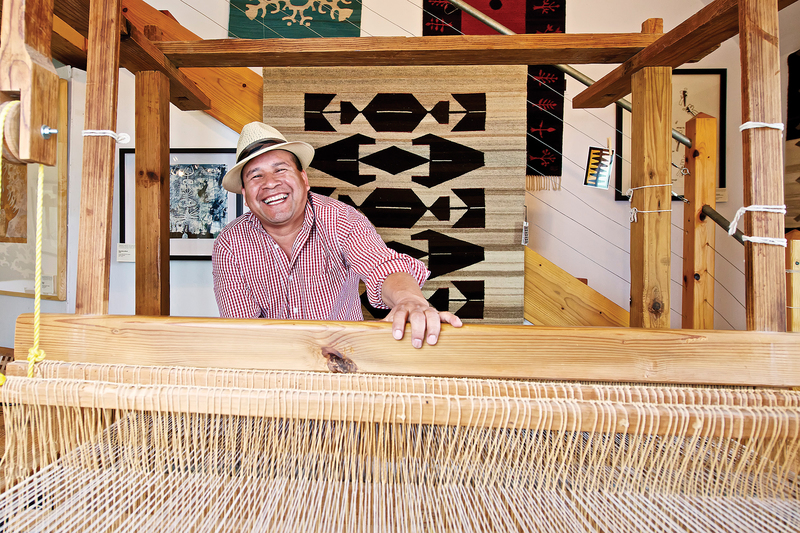 Wence and Sandra, artistic and marriage partners for 25 years, live and create on their homestead just off of Highway 57 on Door County’s “quiet side.” A master weaver, Wence is a native of Oaxaca, Mexico, and brings his Zapotec heritage and more than 40 years of experience to bear on the gorgeous flat-woven wool tapestries he creates. The weavings feature patterns of his own design as well as those of his wife, Sandra. 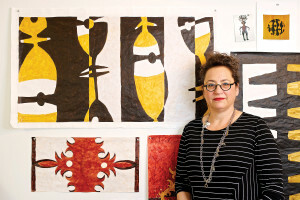 Sandra’s intuitive and primitive glyphs are informed by automatic writing and Haitian metal work, and are also translated to large-scale paintings on paper as well as functional art such as handbags and scarves. Finding a weaver who would take on the job of creating an original design was a challenge – until she met Wence. “I really love a challenge,” he says. 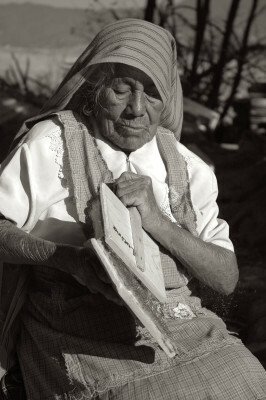 “And I was bored with the traditional production of the same patterns over and over.” Their collaboration in Oaxaca was the beginning of a fruitful union, and their resulting work was immediately recognized by Chicago institutions, including The Field Museum and The Mexican Fine Arts Museum (now the National Mexican Museum). The couple moved back to Door County, where they started a family and continued to make art, but living in a small apartment above Egg Harbor’s Greens ‘N Grains Natural Foods Market limited the scope of their work. 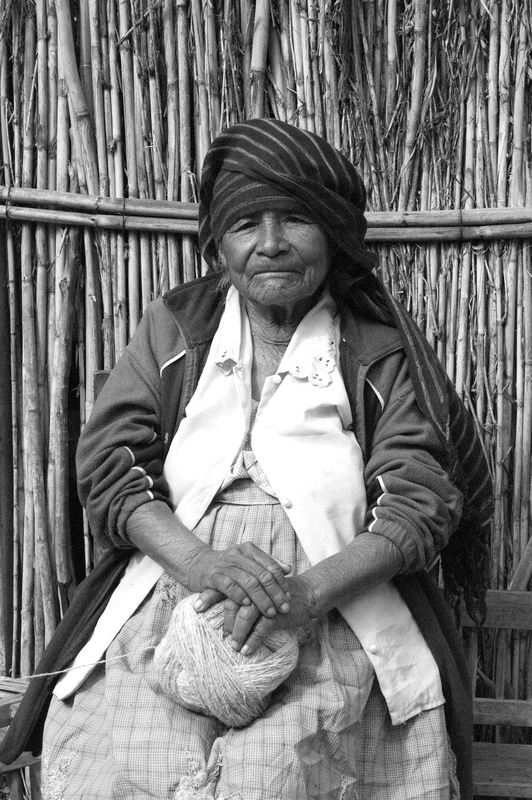 “We had no place to dye wool,” says Wence. “And we had a loom in the boys’ bedroom – they had to have a bunk bed,” laughs Sandra. 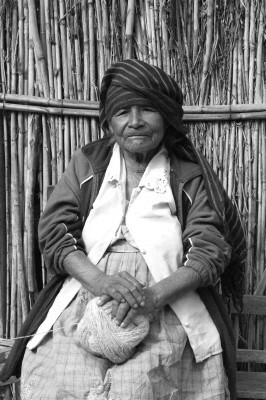 The Martinez’s favorite spinners in Oaxaca, Dona Maria and Lucina (below). Photos by Wence Martinez. 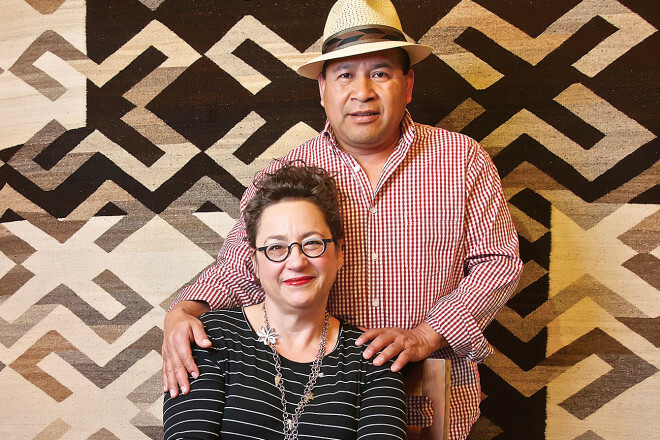 For years, Wence and Sandra have been focused on the joyful union of their talents, nurturing their gallery and their relationships with collectors, and living and raising their two sons in Door County. They take pride in the fact that they don’t have gallery staff, and that collectors and visitors who come to the gallery are welcomed to sit, visit and discuss – just as they welcomed me. “Our customers like dealing with us directly. And we’ve developed such wonderful friendships over the years – we know each other’s stories and we ask about each other’s children. Galleries in the cities, where many of our customers come from, can be formal, but when they come to Door County, they cross that bridge, they can breathe, they’ve got their comfortable shoes on. We’re so happy to be a part of that feeling,” says Sandra. Wence and Sandra are grateful that they have had a chance to develop their work over many years. “Because people have supported us, and bought our work, we’ve been able to continue creating and developing,” says Wence. And, of course, there was Martha Stewart, who was the guest of honor at the event. She stopped by the Martinez’s booth, touched the tapestries and remarked several times, ‘Beautiful work!’ “She even took some pictures with her cell phone,” says Sandra. Photo courtesy of Martinez Studio. Sandra and Wence plan to apply to the Smithsonian show again next year, and will also reprise their appearance at the Architectural Digest Home Design Show in New York City, where designers from around the world source materials for use in high-end homes.